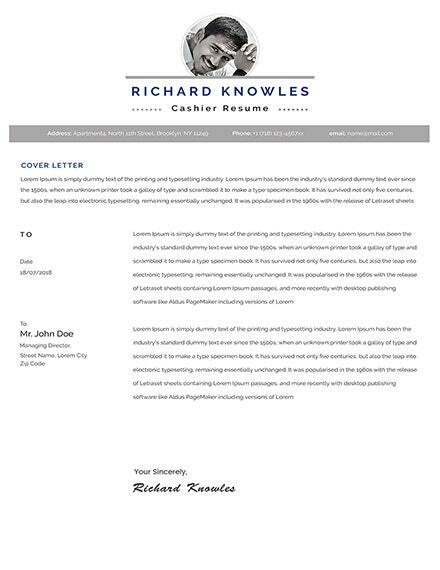 If you’re about to get your first job or if you plan on furthering your career by moving on to the next one, then you should know how important it is that you’re able to come up with your own resume. The point of the document is to present who you are and why you’re the best choice for an open position within a company. However, there are a lot of people who have no idea as to how they should go about in making one. And that’s why this article is going to teach you all that you need to know in order for you to come up with a simple resume. If you plan on making your own resume, then you should know that there are a couple of basic elements that you’ll have to be aware of. They’re what you need in order to present the information that will tell your possible employer as to who you are and what it is that you have to offer. 1. Personal Information: It’s here where you’ll be stating who you are and other details about yourself such as your current address and contact details. Be sure that you write everything down completely so that there won’t be any questions regarding your identity. 2. Objective: In one short sentence, you have to explain what your goal is for sending your resume. Whatever you decide to write has to be in line with the job that you wish to apply for. It’s also best that you highlight any skills that you think will help you do the job well. 3. Education: Employers will want to know if you’ve attained the education that will prepare you for the tasks that come with the job. So it’s here where you’ll be stating the names of the schools you’ve attended, any of educational accomplishments, and the date/dates in which you’ve graduated. 4. Work Experience: If you’ve had any previous jobs before, best that you place them in the resume. List down any that you’ve had as your future employer will want to do a reference check. Write down the names of the companies, and their addresses, and the dates in which you began and ended with them. 5. Hobbies: Don’t go too much into detail when writing down your hobbies. Just point out what you like doing in our spare time. Best that you share only those that will help you acquire the job. 6. Skills: These can be anything that you know you’re good at. You can define certain characteristics about yourself as well as what it is that you know you’re capable of doing well. References: Best to place the names of people that are not related to you when writing down your references. You can include people who know you well such as your previous supervisor or manager. Place their complete names and their contact details. Although you’ve already learned the basic elements that go into a resume, the next step is for you to learn how to go about in making one. You have to make sure that you’re able to present all of the information in a way that allows your future employer to see just how much potential you have and that there’s value in hiring you. That can only happen if you figure out how you should make a resume that allows you to do so. Right from the very beginning, it’s important that you’re able to make a good first impression with your future employer. The way to do that is by showing him/her that your resume looks professional. This means that you’ll need to go with a font and font size that shows just how much you want to make a lasting impression. First thing that you’re going to have to do is to think of what font you’re going to use. Although majority use Times New Roman as it’s the safest option, there are others such as Helvetica or Calibri that you can also choose to use. Then you have to go with a good font size. 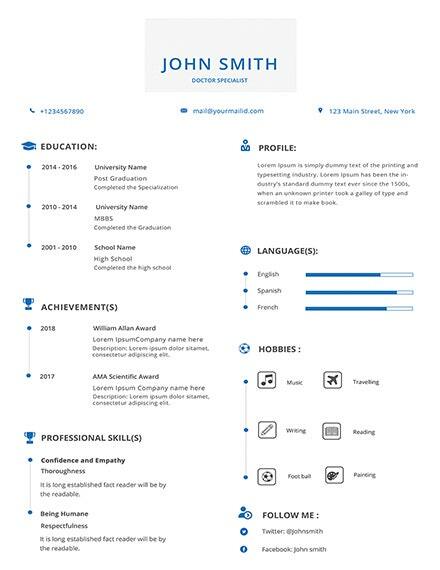 Standard resume text have a font size of either 11 or 12 as either aren’t too big or too small. Take note that your heading should have a slightly larger font size, perhaps around 14 or 16. Other than the heading, everything else should be at 11 or 12. Chronological: This is a format that you use if you want to show that you’ve been attaining steady growth towards a particular career field. These are best used for someone applying for a job within their career-path as it can show just how much that person has grown in terms of handling responsibilities and developing the skills needed for the job. Functional: This is the format that’s more focused on one’s skills and experience rather than job history. This is perfect for those people who may have little to no information regarding their work history or for those who have spent the majority of their career as self-employed. Combination: This essentially a combination between both chronological and functional resumes. This is used as a means of showing off specific skills as well as how they were acquired. If you have developed a specific skill set from working many different jobs, then it’s best to go with this format for your resume. Your work history as well as the type of job you wish to apply for can determine which one you should utilize. Once you’re done choosing the text format and layout, then you simply need to include all of the basic elements into the resume. This is everything from your education, skills, hobbies, previous experience, etc. How you go about in writing them is up to you, just make sure that what you’ve written down looks organized and professional. Don’t make any long sentences: If you plan on providing details on how you acquired your skills or why you quit your previous job, it’s best that you don’t. These should be saved for interviews where you’ll have the time to share what you need to. Never lie in your resume: No matter what, you should never exaggerate anything about yourself when coming up with your resume. Always tell the truth as you do not want to get caught lying and losing a good job opportunity. Always check for any mistakes: Before you send it to your future employer, it’s best that you go through your resume at least twice before doing so. This will allow you to spot and immediately fix any mistakes pertaining to grammar, spelling, or the information you’ve written down. If you would like to learn about the other types of resumes that you can make, then simply go through our site to find out more. How Can I Show that I’m the Right Person for the Job? It’s best that you stick with naming skills and experience that you’ve earned which relates to the job that you wish to apply. Just remember to be truthful with what you write down. Is There Any Easy Way to Make a Simple Resume? Yes, all you need to do is to download a simple resume template that you can customize however you please. You can choose to make use of the ones available in this article if you wish. Although it won’t be easy coming up with a resume, you’ll need to do it if you want to show that you’re the perfect candidate for a specific position. So make use of all the information in this article to help you make the resume you need.